Do you have questions about becoming a Norwex Independent Sales Consultant? Perhaps you’re ready to get started earning money right away? What would you do with some extra monthly income? A vacation? A car payment? Norwex has blessed so many families! And it’s my honor to help you discover this FUN and SIMPLE way to make a difference in our world while earning a great income! Whether you want to earn a full-time or a part-time income, or are looking for a great hobby that changes lives, Norwex can be just the answer you’re looking for. 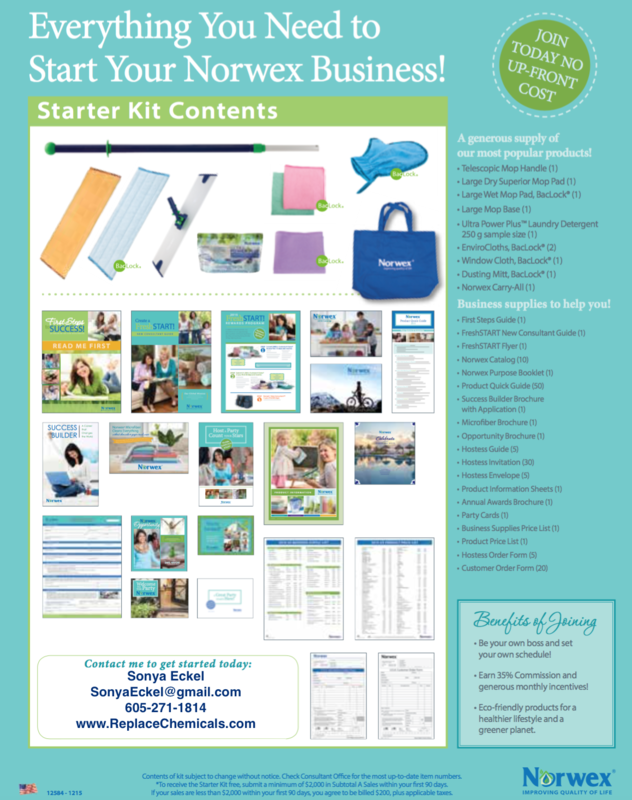 So today I want to take a minute to cover some of Frequently Asked Questions (FAQs) about starting a Norwex business. *What does it cost to become a Norwex consultant? You’ll be super excited to learn that in the US, your start-up kit is FREE and remains free when you have $2000 in sales in your first 90 days Can you even believe a company this generous?! You can figure that it’ll take around 4-6 parties to sell this amount, but often it is reached even sooner. That’s just $667 in retail sales/month. (If you don’t meet this minimum, Norwex charges you $200 for your consultant Starter Kit, which is slightly less than the retail value of the kit.) If you’d like to get started, here are the Norwex Consultant Sign Up Forms. Be sure to ask me for details on the CRAZY AMAZING sign-on bonus this month! What a perfect time to join the Norwex team & get started in representing a company that lives its core values of Integrity, Trust, & Respect! *How soon will I receive my consultant kit and what will be in it? Your kit typically arrives within 7-10 days via UPS! *So what products will I need to get for my demo kit and how much will that cost me? As consultants, we have the great opportunity to be hostess and consultant as often as we choose, we suggest that you take advantage of this privilege by placing an initial $400 [retail cost] order to start building your demo kit. (After your discount, this will end up costing you $260 (plus the shipping & tax) and you will be $400 toward your $2000 minimum sales to keep your kit for free!) Once you register as a consultant on our team, we will provide you with the suggested products to place on this first order, and assist you in placing the order. *Can I purchase products as a consultant just for my own use? Absolutely! I’ve gotta tell ya… the best way to be successful with your Norwex business is to use the products yourself! Once you’re using the Norwex products, they have a way of making you love ‘em. Which of course makes it very easy to tell others about them. You need to spend a minimum of $250 (retail) within every 3-month period to stay active. Be aware that these products are so timely and in demand, that when people find out that you’re a consultant, they’ll likely want to order products from you and book their own Norwex party with you! *Besides making commissions on my Norwex sales, what are some of the benefits of becoming a consultant? Start making money right away! As a consultant, you have the opportunity to start earning income immediately through home parties and direct sales. *Consultants receive 35% discount on their own products, direct sales, and party sales. We are some of the highest paid consultants in the home-party industry! *We recommend that you get started by hosting your own “Launch Party”. It’s a fantastic way to let your friends and relatives know about your new business, and I’d love to come help you with it! * The Norwex business opportunity is constructed to allow consultants to sell the products at trade shows and vendor fairs! They are such a fun opportunity to build your business! *Fundraisers are also an excellent way to build your business while contributing 20-25% of your profit to a cause that you believe in! *Person-to-person “Direct Sale” provides 35% commission. On average, home party sales in the USA are about $500-600 . It’s not unusual to have $1000 sales at one show! That’s about $350 profit in one night! On average, the consultant’s profit (in the US) will be roughly $175-$210. Consider this: how long would it take to make that kind of money at a 9 to 5 job? Incredible team support! I believe choosing a successful, supportive and knowledgeable team is very important to your success. As a new Norwex distributor on our Executive VP team (the only EVP team in the company, and the top Norwex team in the US! ), you have immediate access to a wealth of information and training on our team training site, exclusively developed for the “Planet Green Team”. This site offers product information and training, business ideas and tips, FAQs, a consultant discussion group, detailed instructions for ordering, and much, much more. Remember- the consultant who hires you onto his or her team, is primarily responsible for your training and support–so you want to find someone who you connect with, and who you trust will provide you with that support. My personal team members have access to support directly from me via phone or email. Each person’s goals are different, and my goal is to assist you as much (or as little) as you’d like to help you reach *your* goals. There are area team meetings (which we video-stream to our team members), a team support group & conference calls where we share successes, challenges, and ideas with other consultants. I also provide you with a set of training CDs and a training system to give you a ”track to run on” to get your business off to a successful start! 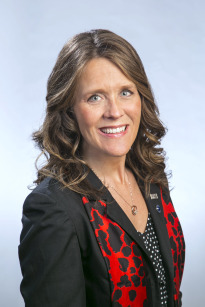 I’m honored to be the first Executive Vice President Sales Leader in the company and this August, I was very honored to be named the #1 Norwex manager in the USA for the 2011-2012 year. I am committed to helping my team build successful & life-changing Norwex businesses! If you are looking for a Norwex leader who offers excellent team support, I would love to talk with you and answer any questions that you may have. You can hire your own team of active consultants. With as few as three consultants on your team, you can start earning 3% on the sales of your personal team. Norwex has no cap on the amount you can earn- no point where they limit your earning potential! As you promote to Sales Leader, Executive Sales Leader, Senior Executive Sales Leader, and VP Sales Manager, your residual income will continue to grow. This is real-life, real-time earning potential. We have unbelievable income potential here in the US, as Norwex is still “a baby”. There’s such a need for more consultants to spread the word about this incredible company, its products and opportunity. Here’s an outline of the North American commission structure. I would LOVE to have you help us bring Norwex to America! Ability to choose how often and when you work. This makes Norwex an easy fit for virtually any lifestyle or schedule! Flexibility rocks!!! Norwex has a generous, company-funded hosting program. Along with Norwex’s super-effective “green” products, this extremely generous host/hostess program (funded by Norwex!) makes it even easier to book parties! I love how well Norwex treats their customers, their hostesses, and their consultants! I can’t think of a better company to be a part of! Norwex remits sales taxes. Which means that we don’t have to worry about remitting sales tax to the state! Another huge perk! Our supply costs are low. Catalogs are just $.75 each! And order forms are only $9.99 for 100. Eligible for tax benefits. As a small business owner, you may tax deduct business mileage, a portion of utilities, your home office, phone and internet bill and office expenses. I’m not a tax professional, so be sure to consult with your CPA for all tax details. Opportunities to win travel and product incentives! *Will I need to keep inventory on hand? No, keeping inventory is not a requirement! Typically we ship the orders directly to our hosts’ or hostesses’ homes. You may find as your customer base grows, that some inventory is nice for re-orders, but even for re-orders, it is SO simple to drop-ship them the product directly from Norwex. *How long does it take to do a home party? Set up time is approximately 20-30 minutes, the presentation typically lasts about 35-45 minutes, and the ordering time is about another 30 minutes. When the whole evening is done, you’re usually looking at about 2 1/2 hours at the host/ hostess’ home. Outside of the show, you will spend 30-60 minutes between coaching your hostess in how to have the most successful show, placing the order, and follow-up customer care calls. So that means from start to finish and even some behind the scenes work, you can easily make $50 dollars/hour. What other part-time job can offer those excellent wages?! *What is a Norwex presentation like? Let me simply say… it’s unlike any other party you’ve been to! We get to go into the kitchen and actually SHOW how well these amazing products work! We even smear some butter on a mirror and clean it to a sparkling, streak-free shine…. with JUST a Norwex cloth and water! I’ve had countless hostesses tell me that they “NEVER host parties”, but that this party is “different” and they’d love to book a show!! Besides the fact that they had a fun evening, they tell me that they want to share this with their friends because of the difference these products make! *How do I get a consultant application? Click here for a USA Consultant Application. (Click here for instructions.) Once you’ve completed the application, you simply fax it directly to Norwex at 1-877-622-3620. If you need any assistance or have questions, please call me: . If you’re in Canada, Australia, Norway, Austria, Latvia, or Lithuania, contact me directly for the appropriate application. *Is there an annual renewal fee? No, as long as you keep your account active, there are no renewal fees once you start your business! *Am I provided with a website from Norwex? Yes! Norwex websites are available to all Norwex consultants for just $9.99/month (Free for your first 60 days!)!! The sites are fantastic- click here to check mine out! This means that your customers can order online 24/7. *Is Norwex a pyramid scheme? No, Norwex is a direct sales/ home party company similar to The Pampered Chef. Norwex retails in-demand and timely products to its customers. Norwex doesn’t advertise via media, but rather hires independent consultants such as you and me to be their advertisement! *Do I have to live in Canada or the US to become a Norwex Consultant? No, Norwex is open for operation in the US, Canada, Norway, Austria, Latvia, Lithuania and Australia. You may sponsor a consultant in any country that Norwex is operational in, although there are a few details that you’ll need to know. *How do I become knowledgeable about the products? The best way to learn the details of our products is to put them to use in your own home! 🙂 In the process of becoming a Norwex consultant, you get the perk of Norwexing your Home! We also provide great product training via our team website and product manual! *As my sponsor, what kind of support can I expect? My #1 goal is that my team members are successful in meeting their personal Norwex goals! To help you get there, I offer my personal phone & email support and coaching to help you successfully build your new business. You’ll also receive my team emails and are welcome to participate in our conference calls and team meetings, and have access to our fantastic Team Support Website. This is designed to help you get off to a strong start with a structured filing system of product knowledge, promotional materials, recruiting tools, training audio & videos and much more. Many people like to find a Norwex sponsor online. Regardless of whether your sponsor is in your location or across the country, training and support are KEY, and with excellent support systems in place, we’re able to work together whether you live down the street, in another state, or another country. When you’re part of our Planet Green Norwex team, you truly are in business FOR yourself, but NOT BY yourself. Our team is behind you all the way to reach the level of success that you desire- whether that be part-time, full-time, or BIG-time! Call me and we can discuss if a “recession-proof” Norwex career is a good fit for you. . Your business is all that YOU want it to be– I consider it an honor to help you get started!!! Norwex is such an incredible opportunity to work with like-minded people toward a common mission to help those we love and our Earth! On behalf of the Planet Green Team, welcome to Norwex! I look forward to getting to know you throughout our business relationship together. (We are currently hiring consultants in all 50 US states-Alabama, Alaska, Arizona, Arkansas, California, Colorado, Connecticut, Delaware, District of Columbia, Florida, Georgia, Hawaii, Idaho, Illinois, Indiana, Iowa, Kansas, Kentucky, Louisiana, Maine, Maryland, Massachusetts, Michigan, Minnesota, Mississippi, Missouri, Montana, Nebraska, Nevada, New Hampshire, New Jersey, New Mexico, New York, North Carolina, North Dakota, Ohio, Oklahoma, Oregon, Pennsylvania, Rhode Island, South Carolina, South Dakota, Tennessee, Texas, Utah, Vermont, Virginia , Washington, West Virginia, Wisconsin, and Wyoming. If Norwex matches your passions, give us a call to see if it’s a fit!